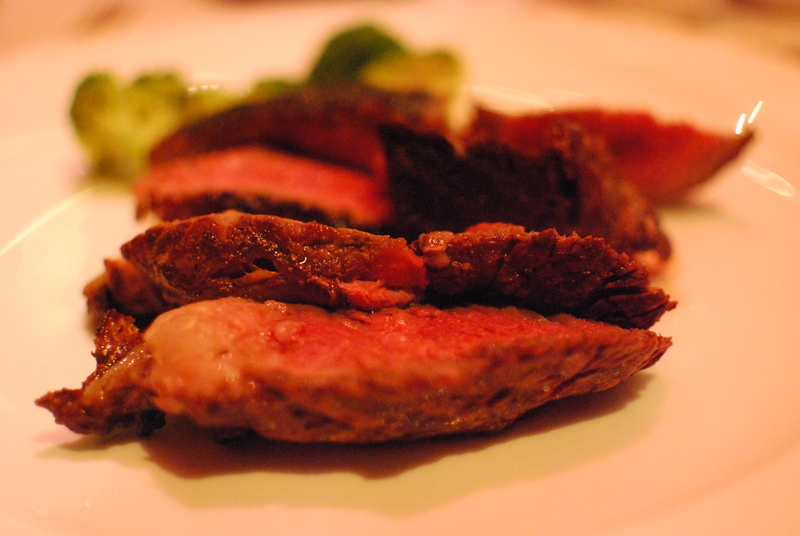 Back in September, Maxime and I tried Cru Steakhouse in Marriott Hotel. After reading outstanding reviews, my expectations were high. 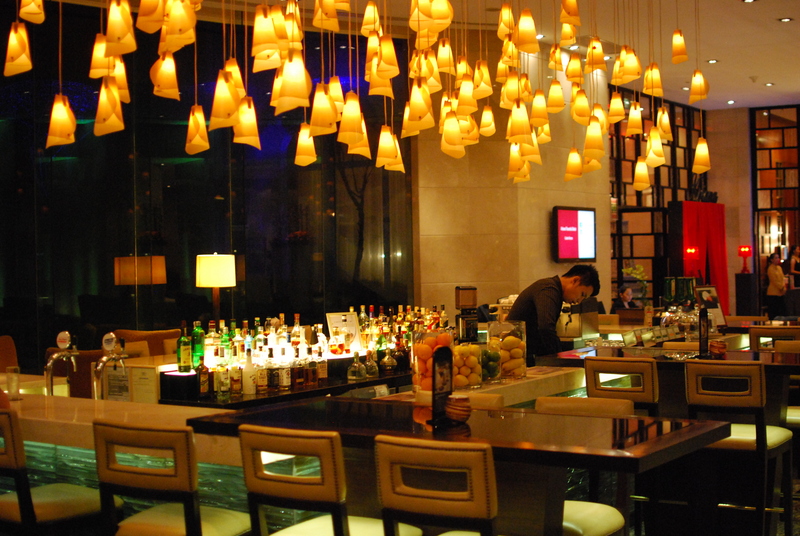 Upon entering Marriott, we were greeted by the grand staircase and their beautifully-lit lobby bar. Cru Steakhouse is located a few meters from the lobby and as we were seated by the warm and welcoming receptionist, we were impressed by the interiors. 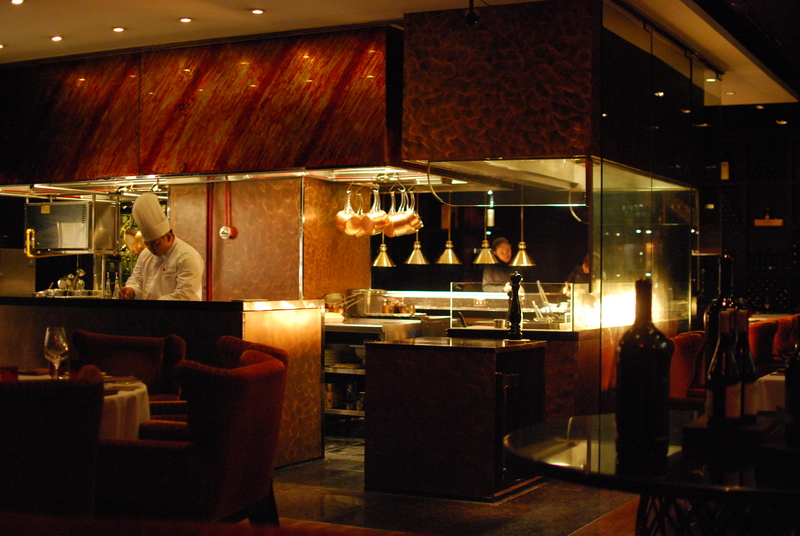 An open kitchen welcomes you to watch the chefs in action as it also lights up the place, since the restaurant is dimly-lit. 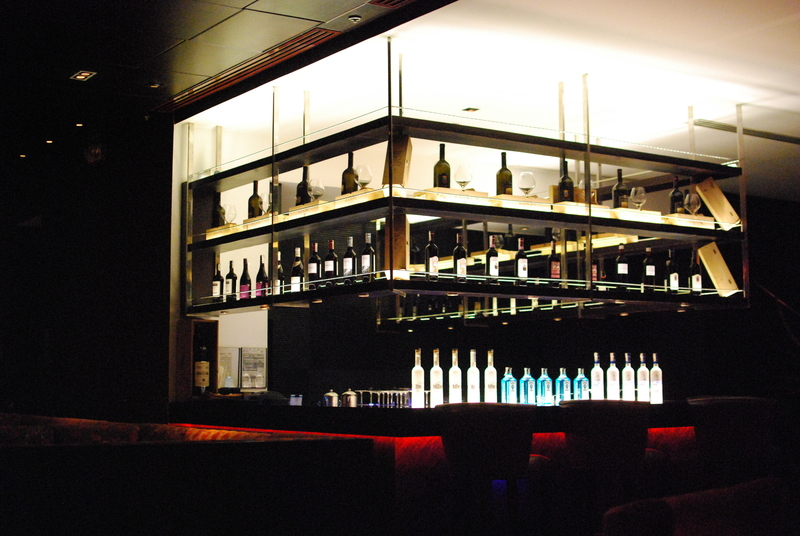 Their bar is well-lit too with the bottles lined up on top of the counter and shelves. 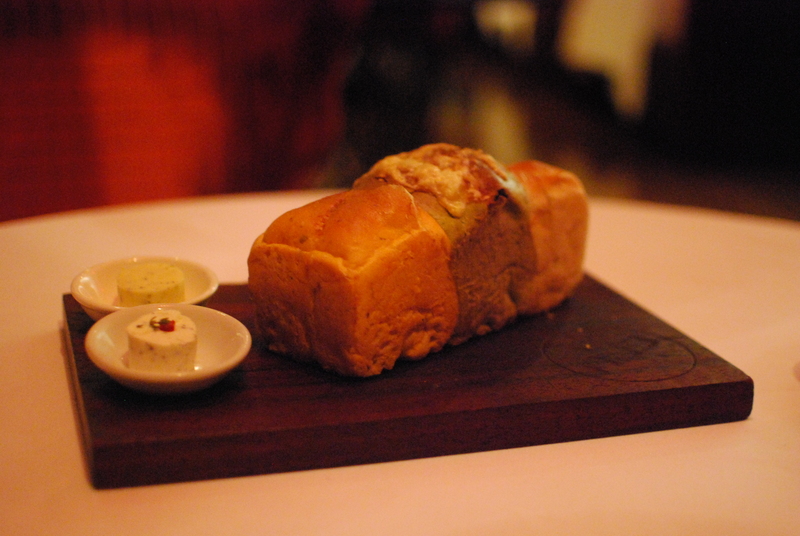 After ordering, the bread board was presented by our server containing three different types of freshly-baked bread, namely Parmesan, Tomato, and Spinach paired with butter and sour cream. 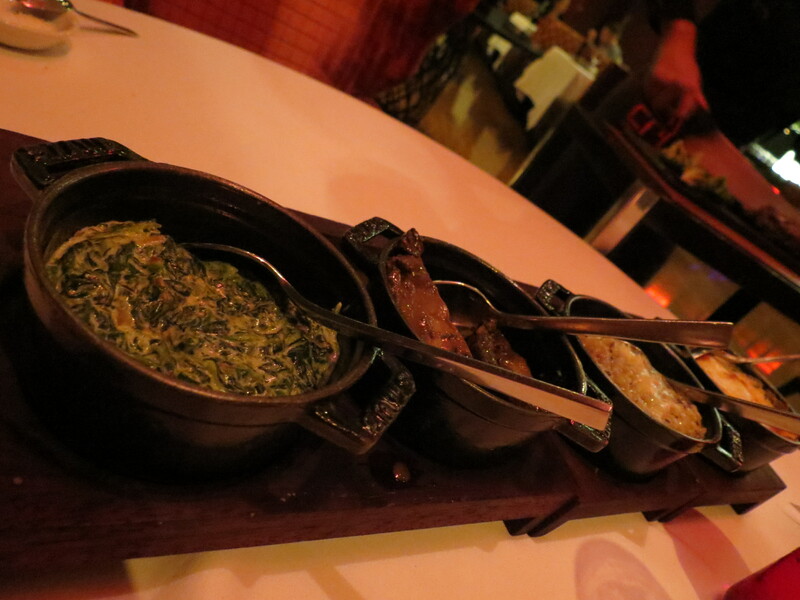 All three were baked to perfection; definitely a delightful starter to preempt our main course. 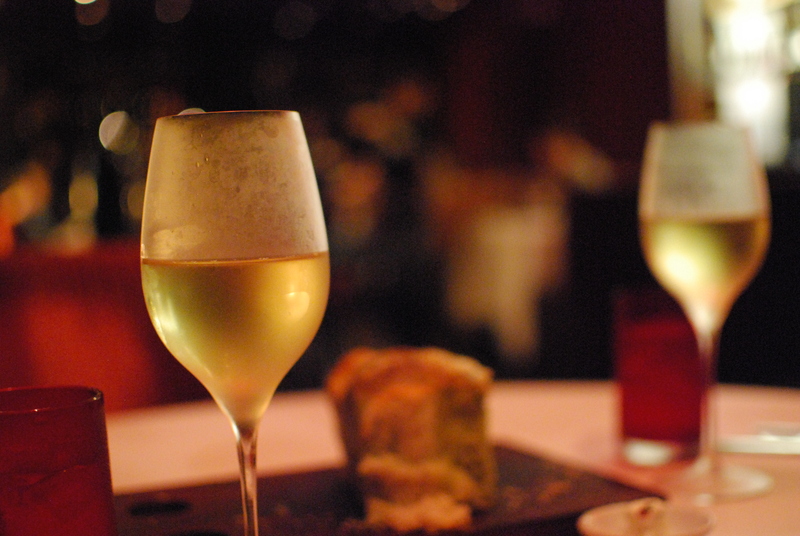 Throughout the dinner, we consumed a couple of glasses of Australian white wine. 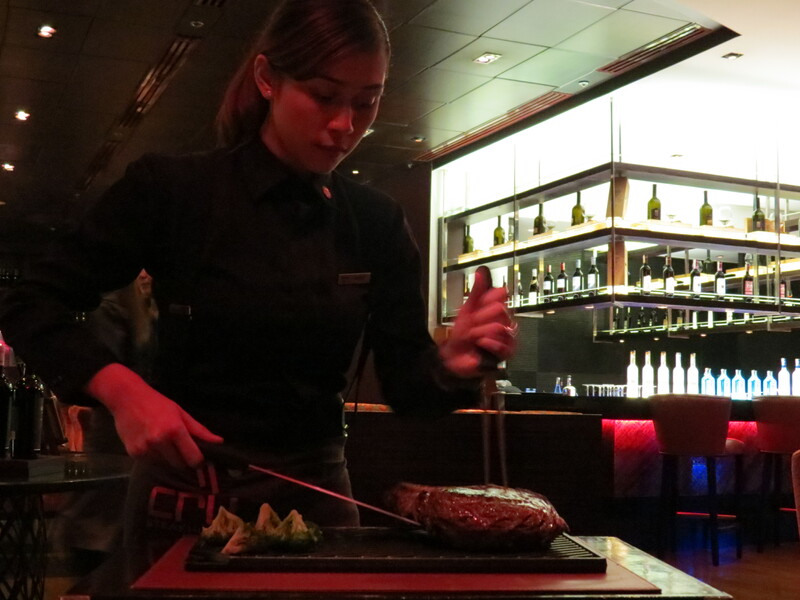 And finally, the star of the night had arrived: US Certified Angus Beef Prime Rib Steak (5400PHP+) – 900 grams; carved table-side. We asked that it be cooked medium-rare and as Raffy, our very accommodating server, sliced through that beautiful piece of meat, we saw how it was cooked to perfection with its juices oozing with flavor. 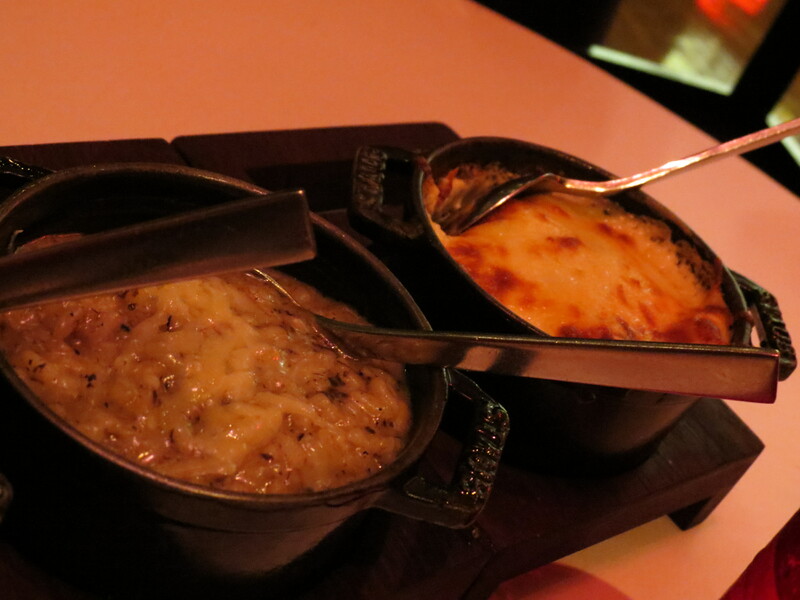 Among the side dishes we tried, my favorite ones were the Grilled Portobello Mushrooms, which I could easily devour a plate of, and the Black Truffle Risotto; while Maxime’s favorite was the Potato, Onion Gratin. All the side dishes we ordered were amazing and I’d give 6 out of 5 stars for each, except for the Broccoli, which was served fresh, but nothing really special. 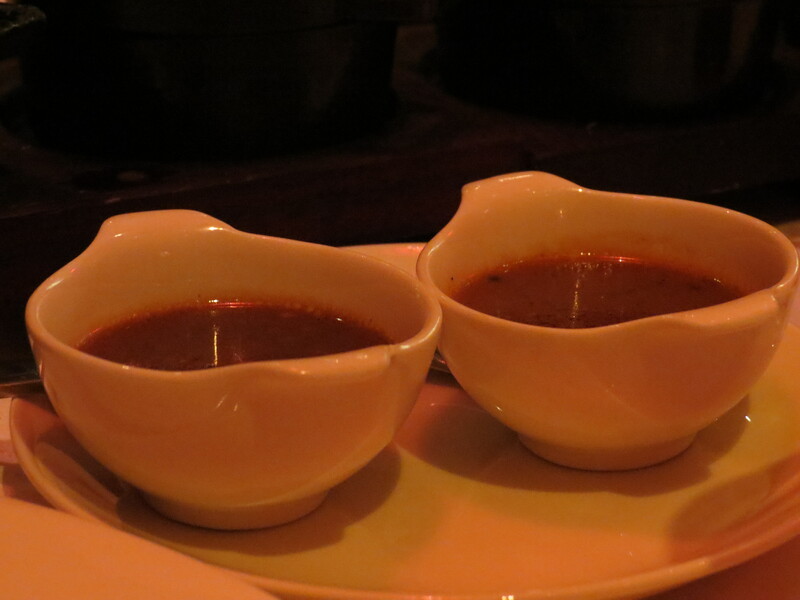 For the sauces, we ordered the Forest Mushroom and Black Pepper. 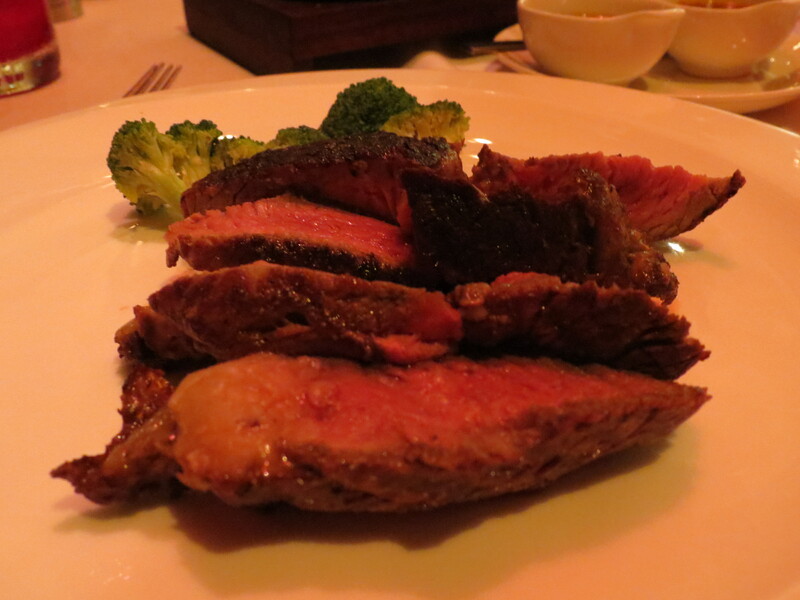 The moment of truth came as we sliced through the carvings of beef on our plates. 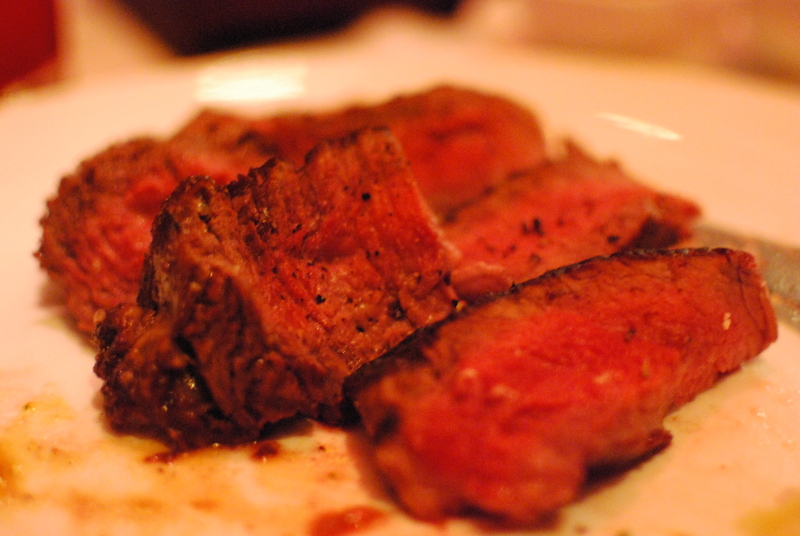 I noticed immediately that the beef was absolutely tender – the most tender steak I have eaten to date. For my first bite, I opted not to put any sauce first to really relish the flavors of the meat itself. And let me tell you that it was perfect beyond words! We finished the whole 900 grams and had no more space for dessert; though when I made the reservations, I called to say that it was Maxime’s birthday so they could surprise him with a mini-cake. Note: The thing with long-distance is, you don’t really get to spend occasions together, so I thought we ought to treat that day as Maxime’s birthday, even if his actually birthday was three months before. The little surprise was executed perfectly thanks to the amazing servers in Cru. 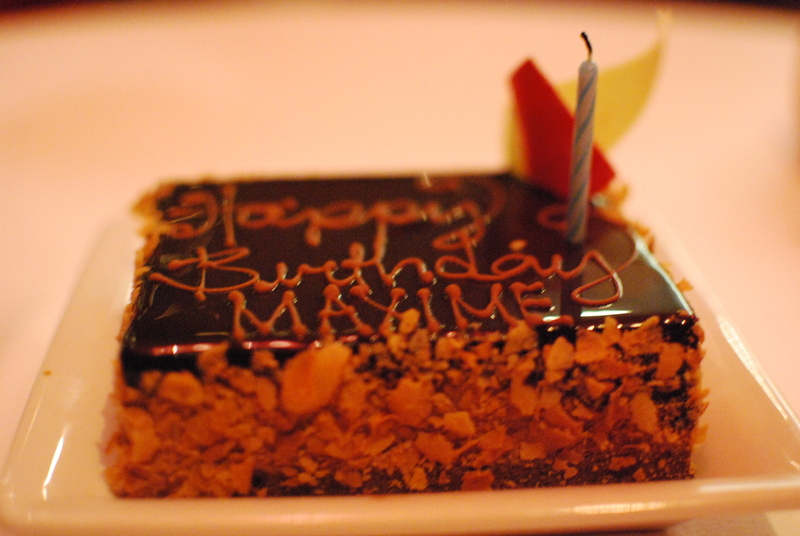 In a timely manner, they carried the cake to our table while singing happy birthday and thereafter, handed a card to Maxime. 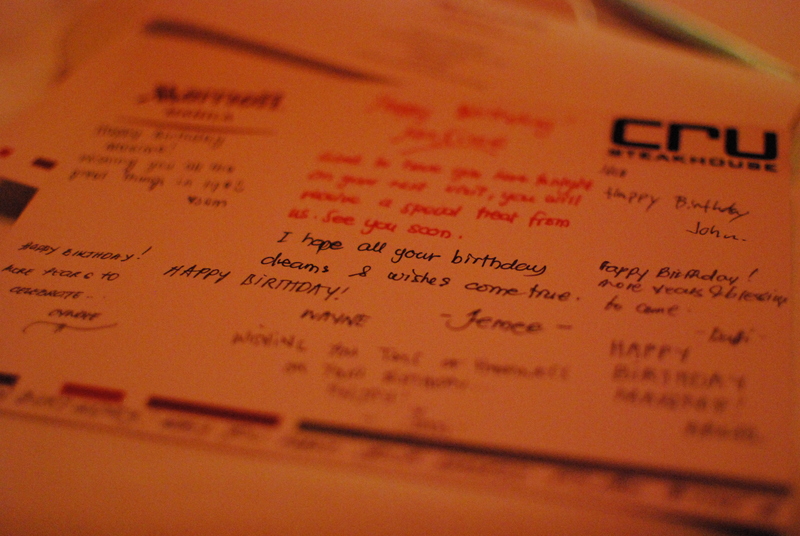 It was a card filled with hand-written birthday wishes from the staff at Cru – definitely an extra surprise! Wrapping it all up, this was probably the best meal I’ve had in my life and will definitely visit again. Out of 5 stars, I’d rate this restaurant 7 thanks to the impeccable service, the amazing food, and the perfect ambiance. Cru Steakhouse now stands as my favorite restaurant, and I believe it may take a while before I find a restaurant that will top it. Needless to say, we ended the dinner with more-than-satisfied stomachs. Whether you’re going on a date or out with family/friends, do try Cru Steakhouse in Marriott Hotel at least once in your life! HIGHLY RECOMMENDED.